Did you know the best way to rank on organic search results is not with your website but with a YouTube video? That’s right, when users perform a search for certain keywords, video results will appear in what is known as the carousel. The video carousel appears above traditional results. Aside from securing another spot on a search engine results page (SERP), videos also send social signals to search engines that your brand is active and producing content. When you embed a YouTube video onto your website, it can even help that page rank as a traditional search result. With shorter attention spans, and greater access to information, consumers are naturally attracted to rich content that appeals to their visual senses. Videos can improve SEO as both standalone content, as well as extensions of other content. The former example, which cites the carousel video result would be an example of standalone content, while the latter, the embedded video on a web page would be an example of a content extension. Both are helpful. Video has been a popular form of media for quite a while. As we know, video was popular far before the internet became immersed in our culture. But one form of media that had not existed prior to the world wide web is podcasting. Yes, podcasts can be thought of as modern iterations of radio broadcasts, but they are not the conceptual equivalent. Regardless of your opinion on the origin and novelty of the medium, we can all agree that podcasting is one of the most consumed forms of media in the world. As a Dallas business, you too can take advantage of this phenomenon. Regardless of what industry you belong to, a podcast can be a brandable content distributor for your company. It is a way to increase online visibility, connect with others in your industry, and build awareness about your services. There’s many great tools available to new podcasters in today’s market. Services like Blubrry allow for hosting and distribution of episodes, and even provide a WordPress plugin known as PowerPress to publish the audio on your site. A study performed on content length in relation to SEO, signals that the average first page result has 1,890 words. This finding is counter-intuitive to what we believe about decreasing attention spans throughout the world. That’s unless you dig deeper and understand the nuance of the discussion. Long form content does not mean almanac-esque write-ups of boring subjects, formatted like an 1800’s library book. Instead, long form SEO content can be a blog post, surrounded by videos and infographics, one of which we already touched on, another of which we’ll touch on shortly. Additionally, content should be formatted with header tags and bullet points so that readers don’t have to read every word to find the information they are looking for. The importance of length in content is not so users will consume the entire post in one sitting, it is so the page serves as a resource that people can keep coming back to, over and over again. If the post is missing any information about the subject, the user will navigate elsewhere to find it. The emergence of Instagram as the fastest growing social media platform should indicate that visual media is the trend towards which we are moving as a society. When people want to consume content, they prefer it in visual formats. That’s why so many people scroll through IG posts on their phone, several, if not dozens of times per day (or more!). The same logic that allows us to understand the appeal of Instagram should be applied to web content of our own. Infographics are a better way to tell a story than text alone. We spoke about content length as a major factor for rankings, but it is only maximized when surrounded by videos and images. The most informative kinds of images are infographics. For those unfamiliar, infographics are instructional image files. They can be anything from diagrams to bar graphs, and many things in between. The object of an infographic is to inform the user of facts in a visually appealing manner. Attention spans may have grown shorter, but they can still be captured through visuals. Many Dallas business owners take on a me against the world mentality, but it doesn’t have to be that way. Partnering with other companies in other industries can help grow your brand, not only online, but offline. As a digital marketing company, it is our job to tell you how partnerships can improve your online profile. Let’s say you become acquainted with a local business in a related but non-identical industry. You decide to promote their services on your own site where appropriate, and they do the same for you. You’ve now merged your client bases together, which may very well overlap at times. Both of your services are needed by the consumer, but their respective trust of each of your businesses, will transfer over to your endorsement of the corresponding party. From a strictly SEO perspective, earning inbound links from other companies shows Google what the user is already seeing, and that’s an endorsement of trust. A vote of confidence from one website to another, very much parallels a similar gesture in a public forum. 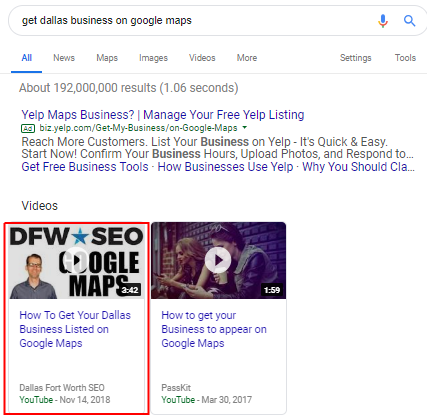 Alexa, find me a Dallas SEO company. Don’t think that phrase has never been uttered with the emergence of Amazon Echo, Google Assistant, and other voice technology software, often referred to as smart speakers. We can expect these devices to become the status quo over the next decade, and be a prevalent part of almost every household in the United States. The consequence of its emergence will impact SEO as much as anything else. Just as things changed when users started performing searches on mobile phones rather than desktop computers, so too will it when the majority transitions to voice commands. Asking their virtual assistant to find them anything from restaurants near them, to home service providers will change how content is optimized for search. Crafting language in a conversational tone is one immediately logical way to accommodate this new software. The entire trend will place an even greater premium on quality content than already existed. The same goes for format and structure. There’s lots of social media platforms available to brands today, one of which we spoke on at length previously in this post; Instagram. IG is extraordinarily popular and can be leveraged by business owners in the same way everyday people use it for social interactions. Aside from Instagram, the major players in the social media world remain relevant. That’s Facebook, Twitter, LinkedIn, and YouTube. Each of the four platforms have continued to garner world wide usage and heavy engagement under the right circumstances. Still, their evolutions have not come without controversy and challenges. Facebook for example no longer prioritizes organic brand content which makes advertising the far more profitable venture through which to market your services. Twitter is still heavily populated, but getting people’s attention as a non-celebrity is easier said than done. LinkedIn is thought of as a place for B2B networking, but it can be very useful for branding as well. YouTube is another channel we noted before, highlighting its value. Much is made of the value of customer reviews for SEO, branding, and digital marketing. It’s true that statistics show that consumers trust reviews as much as they would a personal recommendation. It’s also true that reviews are user-generated content, which is perhaps the most valuable form of content that exists on the internet today. But what’s less spoken about is how to properly garner reviews for your business. You certainly want to steer clear of shady practices like buying them from spam farms or incentivizing customers or friends with actual financial assets. Instead, you have to make the process as convenient as possible for satisfied clients, and as importantly, remind them to do it. This is best accomplished when you integrate your review system onto your main website. This way, when you ask a happy client to leave feedback, all they have to do is navigate to your website, which will then channel them to Google or Facebook. Integrations should also execute email and text reminders to consumers. When the internet first emerged, people were so overwhelmed to have access to information, that it seemed like a magical journey at all times. The internet in its most basic form is far less interesting now, mostly because people have grown so accustomed to having it at their fingertips 24/7. Call it getting spoiled, or even lack of appreciation, but there’s another thing it can be called too; reality. Today, to engage the average internet user, you must bring something more to the table than a static page. What people crave today is interactivity and real-time events. Businesses in Dallas, TX can host online events through a number of channels. You can conduct live streams on Facebook, Instagram, YouTube, and LinkedIn. You can even open up questions to your audience “on-the-air” so to speak, so that there queries can be answered in real-time. Hosting digital events is a great way to congregate interested parties into a single space of the web, and should ultimately lead to increased brand awareness & lead conversions. As a youngster, you were probably told not to put all of your eggs in one basket. The same can be said about digital marketing in 2019. Google is the best search engine in the world, and certainly the one that is most frequently visited by users throughout the planet. Still, there’s other channels through which to diversify your brand. Let’s say tomorrow that Google decides to disband, and end the internet as we know it. What would you do? If your entire business would fold immediately, you know you’ve made poor decisions from a practical standpoint. Try to invest some of your resources in other marketing channels like Facebook, Instagram and YouTube. Also, be on the lookout for new and exciting social media platforms that emerge each and every day. At its core the internet is a place for innovation. Google is sometimes thought of as the internet itself, but it is really just an integral extension of it. The world wide web would go on without its powerhouse search engine, and now you should ensure that your company would too. It’s not who did it first, it’s who did it right … it’s a platitude that actually holds true. Business has always been a copycat world to some degree. Sure, we encourage and reward innovation, but we often incentivize emulation. Think about Facebook, for example. Was Mark Zuckerberg the first person to ever think of a social network? The backstory suggests he was not, but he was certainly the person who executed it the best. To do so, he had to study the pros and cons of his competitor platforms, and make sure his was the most elite. 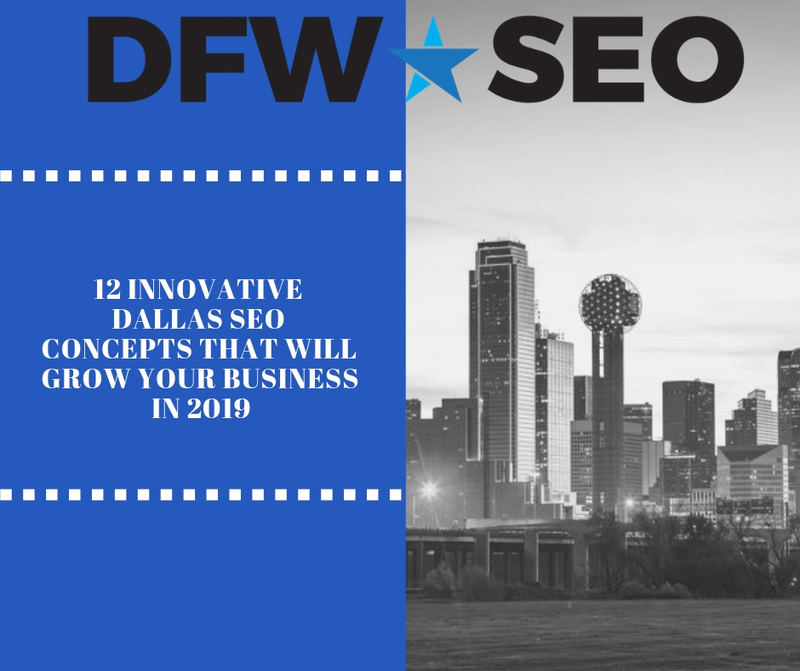 Dallas businesses have to do the same thing when thinking about website improvement, and digital marketing in general. Which of your competitors has a better website than you? If you can think of even one, your have room for improvement. If you are unsure what your competitors are doing or how they’re doing it, you can use analysis tools like MOZ, Majestic, and SEMRush to evaluate their organic and link profiles and make changes accordingly. It also helps to simply visit their website and take a look. SEO’s have traditionally thought of title tags as a way to speak directly to the search engine. But in 2019, they should be thinking about speaking to the user. It still helps to have the keyword in your title tag — after all, that’s what the user is searching for based on volume, but you should also add an element of appeal that is not as traditional. For example, after placement of your main keyword, you should add a sentence about how your business will help them achieve their goal. Users are particularly drawn to numbers and statistics. If you can convince them of a tangible outcome within the 60 character title tag limit, there’s every chance you will capture their attention. This is especially useful for improving Click Through Rate (CTR). Google is believed to use CTR as one of their primary ranking factors. If users click on your result because of its engaging title tag, it signals to the search engine that the page has increasing value and deserves to usurp results listed ahead of it, but that garner less clicks or CTR.